JSC Ukrzaliznytsia has launched a new regular container train from the station Nyzhniodniprovsk-Vuzol station to Slawkow (Poland). According to a report on Ukrzaliznytsia’s website, this train will collect containers from the Zaporizhia, Mariupol-Sortuvalny and Nikopol stations every Saturday. 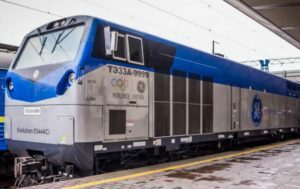 “The direct container train, which follows a strict schedule without maneuvering operations on the way and with an accelerated border crossing technology, is a year-round all-weather alternative to road transportation,” Ukrzaliznytsia Head Yevhen Kravtsov commented on the launch of the train. 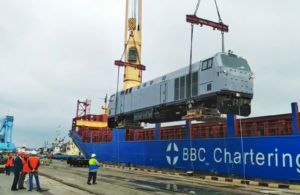 According to the state railway carrier, this is already the 19th container train, which will run on an ongoing basis, eight of which are transit trains. 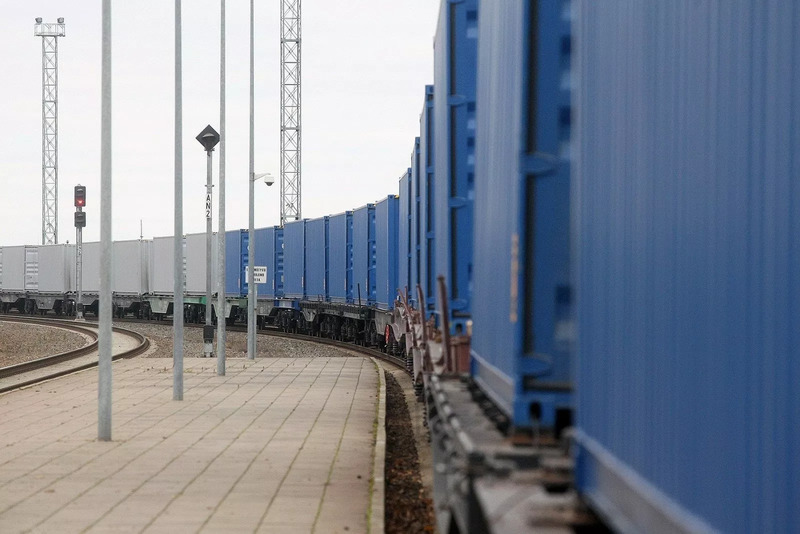 “Now we are considering the possibility of organizing new container trains on the route Lithuania-Ukraine-Lithuania,” the expert said. JSC Ukrzaliznytsia has paid off the first part of loan participation notes (LPN, eurobonds) in the amount of $150 million and paid the coupon on them, the company has reported on its website. Ukrzaliznytsia Board Chairman Yevhen Kravtsov said that a loan for refinancing of the debt was raised on the domestic market. Oschadbank and the State Agency for Infrastructure Projects of Ukraine provided the funds. “The funds were borrowed in the national and foreign currencies, and the currency-pegged liabilities were met. This additionally cut the potential risks for seeing exchange rate losses,” Kravtsov said. 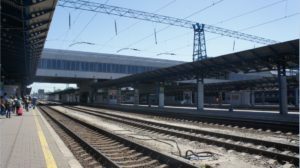 He said that the payment on the bonds in due time again confirms support of the railway sector by the state and financial stability of Ukrzaliznytsia. It also shows to creditors that the state and company have a responsible attitude to servicing own debts. As reported, Ukrzaliznytsia in May 2013 placed its debut $500 million eurobond issue with a maturity period of five years through the specially created company Shortline Plc. 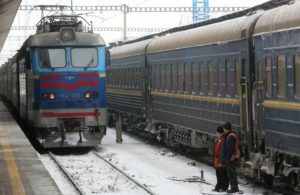 Eurobonds of Ukrzaliznytsia, together with the securities of Oschadbank and Ukreximbank, were included in the restructuring of the external sovereign and government guaranteed debt initiated by the Ministry of Finance of Ukraine after the IMF approved a new four-year extended fund facility for Ukraine for $17.5 billion. In March 2016, Ukrzaliznytsia restructured its eurobonds, prolonging the maturity until September 15, 2021 and raising the interest rate from 9.5% to 9.875% per annum. Also, the repayment schedule for the principal loan amount was changed: 60% should be paid in 2019, 20% in 2020 and 20% in 2021. At the end of 2018, the supervisory board of Ukrzaliznytsia, together with the Ministry of Infrastructure and the Verkhovna Rada Committee on Transport, stated the need to restructure Ukrzaliznytsia’s debt obligations in order to increase the borrowings pegged to the national currency. In April 2018, Ukrzaliznytsia announced that it was considering the possibility of implementing a new issue of eurobonds pegged to the hryvnia in the amount of UAH 500 million to UAH 1 billion for a period of three to five years before the end of this year, and also received coordination by the ministries to issue domestic bonds with a total amount of UAH 2 billion. The draft ownership policy of JSC Ukrzaliznytsia does not envisage a possibility of holding an initial public offering (IPO) for the company, Ukrzaliznytsia Director for Strategic Development and Investment Policy Anton Sabolevsky told reporters on the sidelines of the third International Conference “Railways of Ukraine: Developments & Investments” held in Kyiv. “The draft ownership policy, which is now being considered, does not mention the possibility of an IPO. This is not a question of a year or three, it is more distant. It will definitely not be held in the next five years,” he said. According to Sabolevsky, in Europe the only successful transaction for holding an IPO for a part of a cargo carrier was in Poland. “Also, there is an example of Doicebahn, which was bought freight operators in the Netherlands, Denmark and partly in Sweden,” he said. At the same time, according to Sabolevsky, for the next five years, Ukrzaliznytsia needs an additional investment of $6 billion to maintain its assets at current levels. “If we look at the ratio of capital investment and company revenues, then, to a large extent, we will come to the conclusion that Ukrzaliznytsia must spend about $ 1billion on its capital investment a year. These are the sums which the company announces in its financial plan every year. For example, in 2018, we had a little more than UAH 26 billion of capital investment,” he said. Ukrzaliznytsia is currently considering the possibility of entering foreign markets for the purchase of diesel fuel from direct producers, according to a press release from the company. 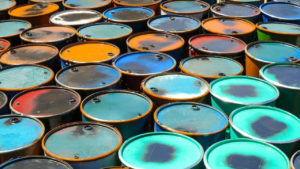 “In addition to expanding the circle of suppliers, this will allow removing significant pressure on domestic prices in Ukraine, which often takes place when the company purchases diesel fuel,” chairman of the board Yevhen Kravtsov said. He noted that Ukrzaliznytsia consumes 10% of the total volume of this oil product, currently sold in Ukraine. Kravtsov stressed that in order to avoid sharp price fluctuations in the domestic market of petroleum products, Ukrzaliznytsia should have foreign alternative supply channels, in particular, for diesel fuel. “Our purchase of even 100,000 or 200,000 tonnes is not so decisive to cause price fluctuations [in the external market] as it is happening in Ukraine now,” he said.